Apple is expected to drop the physical Home Button from the front of the iPhone 8 to enable the new 5.8inch display to bleed to the very edge of the chassis. 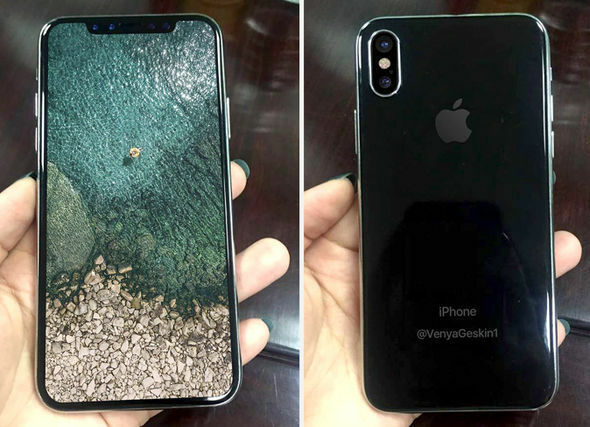 However, this radical new design is believed to have caused a headache for Apple – who has reportedly always planned to incorporate the Touch ID fingerprint scanner, which was previously built into the Home Button, beneath the glass display. The iPhone 8 launch has been plagued with purported delays, with the vast majority attributed to technology required to embed the Touch ID fingerprint scanner underneath the display. Faced with a bottleneck in production, a number of sources believe Apple has jettisoned the embedded design – and instead moved the fingerprint sensor to the back of the phone. Samsung is believed to have made a similar compromise during the development of the Samsung Galaxy S8, but is now attempting to address the issues in time for the launch of the Samsung Galaxy Note 8. According to the report, Samsung Display is making an additional 80 million screens for its own smartphones and for other manufacturers, although it will keep some inventory flexibility in case Apple orders more iPhones. As for the iPhone 7S and iPhone 7S Plus, Apple is expected to ship 25-30 million units in the second half of the year, Digitimes estimates.